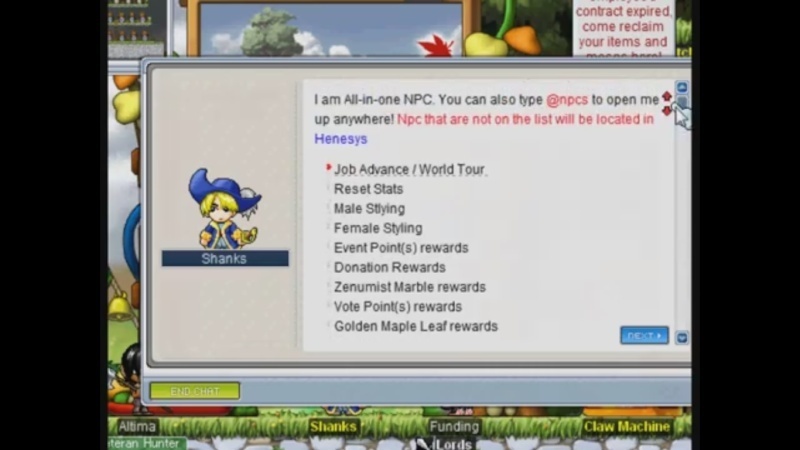 I suggest adding a hair/face stylist, like the one when you start on Maple Island, to Shanks. As of now I haven't seen one outside of Maple Island unless it's intended to buy the hair/face coupons from the cash shop and use them. Edit: So I just found out there's a command for it "@kin", although it dc's you when trying to change hair, but maybe you should add it to Shank's menu. Thanks for adding it btw I had no clue it was in there. Noted. Me and Kevin will discuss about this. thank you for your suggestion.